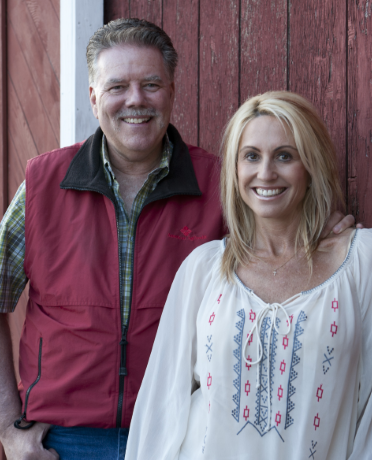 Kevin and Linda Barr are two of Sonoma County’s most passionate, hardworking, and visionary farmers you’ll ever meet. Their style, personality and ethos are a perfect reflection of everything that makes Sonoma County one of the best places to live, work, or visit. 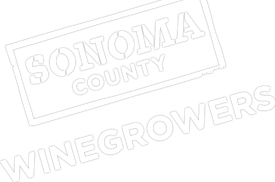 Their company, Redwood Empire Vineyard Management, has grown tremendously since its inception in the early 1980’s, from that initial dream, which is altogether consistent with their valuing of the sustainably philosophy and connectedness with the environment, and their community. When one Google’s their name or visits their website to learn more, they’ll read of emphasis on the environment and community, being involved socially while maintaining a high level of integrity and ethics. And, you feel that, hear that, and are educated by that when sitting with the Barrs. They’ve been in business managing vineyards and farming for over thirty-five years, demonstrating a closeness to and love for the environment. And just as well, an appreciation for everyone in the community. And their actions speak louder than words. Their company was the very first vineyard management company in California to be certified sustainable. Asked candidly, what does it mean to be sustainable? Mr. Barr will tell you, “You know, for me, it’s just the right thing to do.” He mentioned this critical interfacing of the land, the environment, and the people. To the Barrs, It’s about preserving all our resources for the future generations, protecting the land, and about how you treat people; taking the time to step back and think about future generations. Kevin mentioned, in discussing their commitment to sustainability, that he’d always been involved in heading that direction, for some time now, and crediting their business partner Tyler Klick with this vision of a synergy with the environment and all the sound vineyard management ideologies they hold so close. They’ve seen what’s happened in other industries when they the land isn’t cared for. It’s obvious that the care for the environment is caring for the Barr’s family, children and grandchildren, and by extension everyone in the community and their families. Kevin and Linda made it clear, they’re more about sustaining themselves and the land, they’re opposed to the mentality of ‘how much money can I take out of this piece of land.’ Mr. Barr made it very clear, that he and his wife, his company, are of the mentality of ‘what can I do to protect the land, the environment’. Kevin and Linda acknowledge this is a business, and the client list that they maintain is rather sizeable, but there’s compromise for their concern and care, coexistence for the environments, and that their clients depend on them to not compromise on their sustainable beliefs. They need to keep with this care of the soils the vines, the reservoirs and everything that’s a facet to the larger equation. “We’re going to do this the right way,” Kevin declaratively noted. And for them, it has to be Sonoma County. Kevin living here since 1979, and Linda a 4th Generation Geyserville gal. Kevin mentioned they farm everywhere from Marin to the Siskiyous, but Sonoma County is where their heart is. It’s where the dream is, and that’s where you’ll always find them farming. “There’s just nothing better than Sonoma County,” Kevin said. They see Sonoma County as nothing but phenomenal, a place where you can be successful and live a true attainable dream. One you can taste. The Barrs pride themselves on helping their clients enhance and improve sustainable practice with inputs, everything from pesticides to water management, from modern technologies to general care of the environment. Mr. Barr made it very clear, that his business is all about the treasuring and respect for the environment, a demonstrated and visible respect. They mentioned being good neighbors, a communal synergy, one that proves fruitful for everybody. Next time you’re traveling through Sonoma County, keep an eye out for their distinctive Redwood Empire Vineyard Management green colored trucks on the road or in a vineyard. They’re guaranteed to be in the middle of helping someone become more sustainable! If you were not a farmer, what would you want to do for a living? Kevin: I would have been a firefighter, no doubt. I love that profession and respect all the men and women who put their life on the line to save others. Linda: A detective. “She’s part cop,” Kevin remarked with a smirk. What is your favorite harvest memory? Kevin: Watching the mechanized Pellenc harvester pick grapes from the vines—I could watch it all day if I had the time. Kevin and Linda: Having people working for REVM for over 30 years. And having basically the same nucleus crew from day one.